Barack Obama is no stand-up comedian and the FBI is protecting him rather than spying on him but he could well say today “Is there anyone out there I haven’t offended.” Unlike Mort’s audience who applauded his sardonic question, Obama would be met with a domestic and international shout of “NO,” you have offended us all by your approval of the NSA’s spying on all of us. The Snowden papers have revealed that our president approves of spying on everyone—the enemy, Americans, even our closest allies. Angela Merkel, the German head of state has joined the President of Brazil in telling him “NO,” you are spying on us. And then there is Hollande of France adding his angry voice to the crowd. To defend Obama and our government’s egregious and counterproductive spying on the world, the great truth teller, James Clapper, head of U.S. spying denied that the French were spied upon. This is the same two-faced government functionary who lied before Congress when in his testimony, which he later had to recant (thank you Ed Snowden), he said his agency did no wholesale tapping of Americans’ personal communications. Does anyone think that President Hollande of France will believe Clapper, a man who lied to his own Congress? This arrogant and intrusive government spying program is not only alienating foreign heads of state: it will also likely degrade America’s technology sector by encouraging countries to cut their reliance on Google, Yahoo, Microsoft, and other U.S.-led companies, just as Brazil is apparently doing. 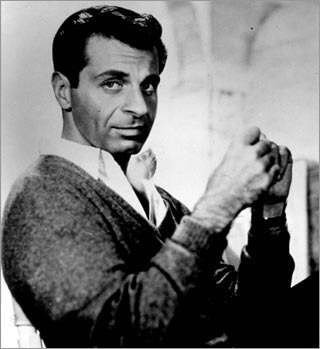 So, Mr. President, you’ve managed to offend your own citizens and your allies around the world, but unlike Mort Sahl you’re neither a stand-up comedian nor a stand-up guy. Recant, recant! In other words, when the U.S. military-intelligence complex talks about “full-spectrum dominance” and “total information awareness,” they really mean it. And it’s not just to protect the USA from terrorists. It’s to help the USA to dominate all other countries, including our closest allies. The USA does it because it can, and because power corrupts, and because knowledge (by spying) = power = unfair advantage = profit. Our president, the former constitutional lawyer who took an oath as president to uphold the Constitution, has continued to authorize the most egregious violations of the 1st and 4th amendments. He’s done so to preserve and extend governmental power while wrapping it in impenetrable veils of secrecy. These actions constitute one of the great mistakes of our age precisely because they are a pernicious threat to democratic freedoms, not only here but throughout the world.